And neither are guaranteed happiness, which these stories make crystal clear. Spanning decades and connected by both the circus and the small Indiana town in which it spends the off-season, these tales present a dazzling array of characters—elephant trainers! Zulu queens! Driveway-paving Gypsies! But this is the circus in winter, when the lights have dimmed and the canvas has dropped. It’s not focused on public spectacle, but on the often heartbreaking private lives of these extraordinary people. Wallace Porter assembles his circus to assuage his own broken heart. Over the years, he imports transient talent from all over the globe. The circus, like the Pequod (or like the United States), becomes a “big tent” which includes people of assorted backgrounds working together for common goals. But they’re also united by human experience—death, failed relationships, and the feeling of entrapment generated by familiar surroundings. This is a somber book, but it’s not really a tearjerker in the Nicholas Sparks style. It’s muted and plaintive, even in its humor (“They cried for a while, then went downstairs to make pancakes.”). Structurally, Day’s book is reminiscent of Winesburg, Ohio and Olive Kitteridge. 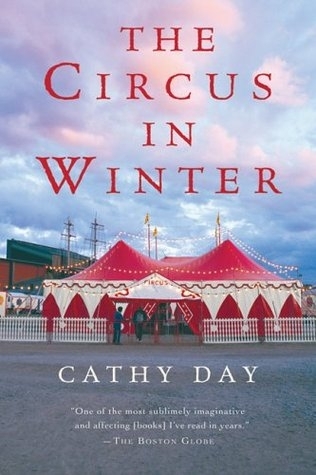 Midway between a novel and set of short stories, The Circus in Winter lacks a true central narrative, but is united by overlapping characters and overarching themes. And, of course, the circus looms over all of these tales, whether as the place where the clowns live or as a symbol of escape from snowy small towns. “A depressing book about the circus, but only the backstage stuff” is probably one of Earth’s hardest sells. But this is a compelling work that deserves a wider audience and is perfect for bleak winter days. Day, C. (2005). 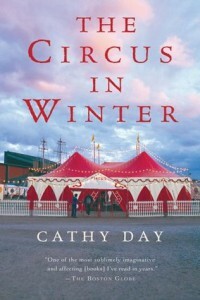 The circus in winter. Orlando: Harcourt.